Out of hundreds of available SUVs on the used car market there are only a few that are not only good on gas, but also more or less reliable. We only looked at the 2011 and newer 4-cylinder SUVs. There are many worthy candidates, but some had persistent engine or other issues or the fuel economy wasn't that good, so we didn't include them. 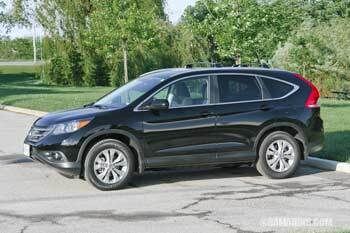 The CR-V is one of the top choices. It's not only reliable but comfortable, spacious and fuel-efficient. Buyers can choose between front-wheel and all-wheel drive. The third-generation (2007-2011) as well as the fourth generation (2012-2016) come with the proven 2.4L 4-cylinder engine that can last long with good maintenance. Starting from the 2015 model year, Honda CR-V comes with a direct-injected engine and continuously variable automatic transmission (CVT) that further improved fuel economy. The CX-5 is a good choice for drivers looking for an SUV with sporty handling. The interior is roomy too. The 2013-2016 Mazda CX-5 comes with a 2.0L or 2.5L direct-injected engine. Both are reliable and very fuel-efficient. Transmission choices include a 6-speed manual or conventional 6-speed automatic. A manual transmission is only available in front-wheel drive models. The 2016 all-wheel drive Mazda CX-5 automatic with a 2.5L engine gets 24 MPG city, 29 MPG highway. 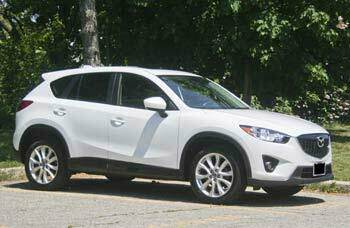 Check out our Used Mazda CX-5 2013-2016 review. The 2013 CX-5 had several minor issues, so look for the 2014 and newer models. You can't go wrong with Toyota, and the RAV4 is no exception. It's the most reliable SUV in this group. The RAV4 has been redesigned for 2006, 2013 and 2019. Even a 10-year old RAV4 can be a good buy if it has been maintained well by previous owners. The 2013-2018 RAV4 comes with a time-tested 2.5L engine, conventional 6-speed automatic transmission and an optional simple AWD system. The RAV4 offers a comfortable ride and easy driving experience. 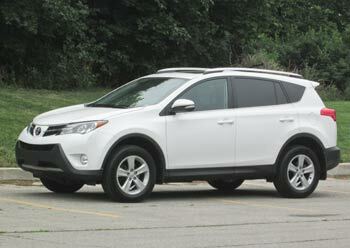 The EPA rates the 2015 AWD RAV4 with a 2.5L 4-cylinder engine and an automatic transmission at 22/28 MPG city highway. 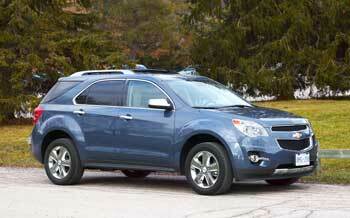 If you want to Buy American and save on gas, Chevrolet Equinox and its twin GMC Terrain fit the bill perfectly. Starting from 2012, both vehicles are rated higher for reliability than any other American SUV. According to Consumer Reports, most complaints are about in-car electronics. The engine and transmission fared well. The Equinox was redesigned for 2010 and then for 2018. The 2010 and 2011 models had more reported problems. That is why we recommend looking for the 2012 and newer Equinox. The 2010-2017 Equinox has a refined roomy interior and comfortable ride. The 2015 AWD 4-cylinder Equinox auto shows the EPA sticker of 20/28 MPG city/highway. Subaru is known for its Symmetrical all-wheel drive and unique horizontally opposed 'boxer' engine. The Forester takes advantage of both of these features. Thanks to its low center of gravity, the Forester handles well on twisty mountain roads. The Forester is more of a down-to-earth practical choice. Its upright shape and tall windows provide excellent all-around visibility. Standard all-wheel drive, roof rack system with swing-in crossbars and 8.7 inches of ground clearance make the Outback perfect for outdoor adventures. With some additional hardware, the Outback roof rack can be outfitted to carry two kayaks or a bike. Outback comes with a non-turbo 2.5L 4-cylinder or 3.6L 6-cylinder "boxer" engine, but the H6 engine is thirsty. 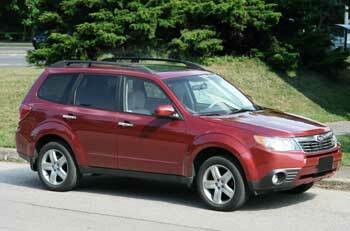 The 2012 AWD Subaru Outback 2.5L automatic is rated at 21/28 MPG city/hwy. 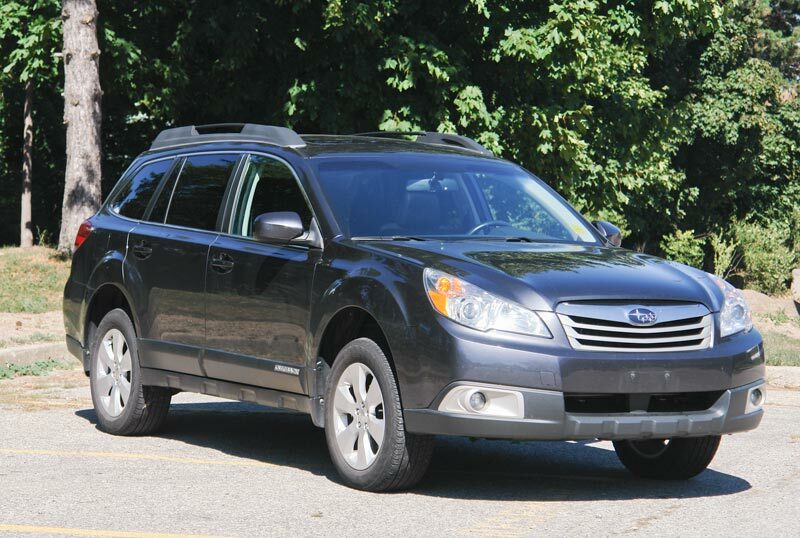 Read our review: 2010-2014 Subaru Outback. 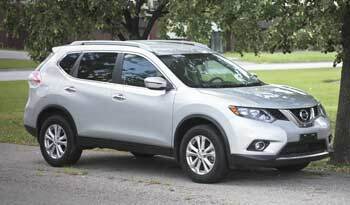 Nissan Rogue has been redesigned for 2014. It's a roomy, tall SUV with several interesting features and it's one of the few compact SUVs still offering the third-row seating. The Rogue comes with a 2.5L 4-cylinder engine and a continuously variable automatic transmission (CVT). Read our review: 2014-2017 Nissan Rogue. Thanks to the CVT, the Rogue is one of the most fuel efficient SUVs. The 2016 AWD Rogue is rated at 25/31 MPG. The reliability is above average. There were early problems with an air conditioner and CVT transmissions. Later models are rated better. Subaru Crosstrek - it's an AWD vehicle based on the Impreza only with a raised suspension. It's good on gas, but it's too small and light and as a result it's not as competent in snow as other Subaru SUVs. Hyundai Tucson - the Tucson is good on gas and overall not a bad choice, but it's also very small. Mazda CX-3 - it has a good engine, conventional transmission and an all-wheel drive system, but it's tight inside and the CX-3 had some issues with the air conditioner failing. Jeep Cherokee - the Trailhawk version is a worthy contender for buyers looking for extra 4WD capability. It's hard to compete with Cherokee sporty styling, but the 9-speed automatic transmission is overly complicated.